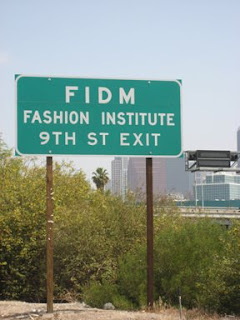 The FIDM Life: ...everyone's talking. "If I don't sleep...that's 8 hours I can use to finish my project!" "That Brick Beige Prisma marker color is $3.15. I need two. There goes my lunch money. "If I miss one class at FIDM, that's a week's worth of material." "I would sell all my clothes if it adds up to $700 so I could help Michelle pay for housing." "1 week: 15 hours of schooling, 30 hours of working, 5 hours of on-campus volunteer activities, 35 hours of studying... what a life." Call us crazy. Do what you love, love what you do.